With Apple continuing to expand and push the capabilities of its HomeKit framework / program to developers and hardware manufacturers alike, it’s inevitable that multiple new pieces of hardware will start to hit the market in the coming months. That can actually only be a good thing as we well and truly enter into the “Internet of Things” era, and will serve to offer serious choice for consumers as they embark on an iOS controlled home automation revolution. The recently announced Twist is yet another smart accessory, but one that hasn’t yet jumped on the HomeKit bandwagon, choosing instead to rely on an Internet connection and Apple’s AirPlay protocol. Twist is actually an extremely intelligent and well thought of kit. The product promises to deliver “better lighting and audio for everyone,” and sets about achieving this by actually offering elegant, controllable lighting and wireless audio solutions all from within one manageable device. 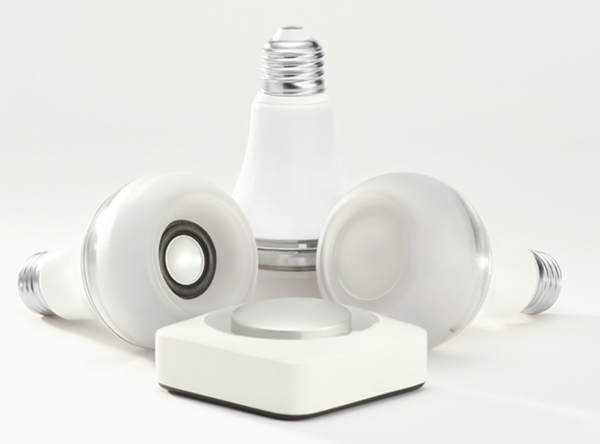 The beautifully designed LED light bulb comes equipped with an AirPlay enabled speaker built directly into it. 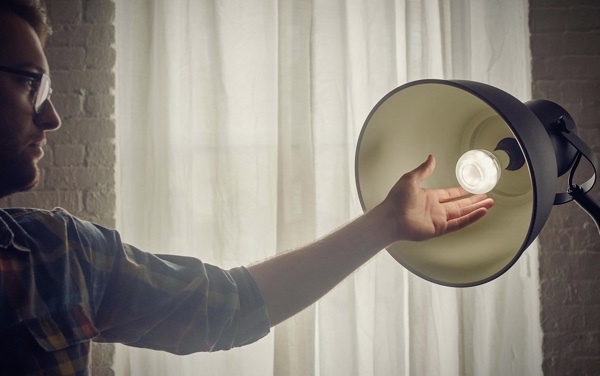 That’s right, an efficient LED bulb that is also capable of blasting out music streamed wirelessly from an iPhone, iPad, Apple TV or iTunes running on a Mac. Pure Genius. 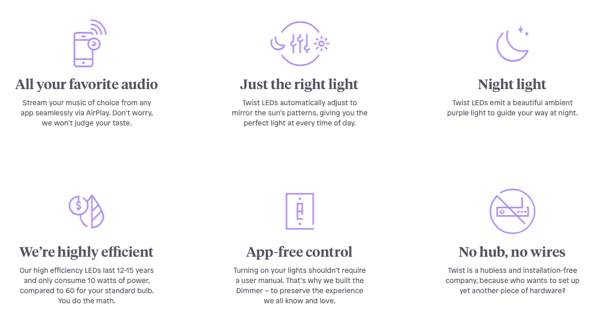 In addition to serving up wireless tunes from wherever the bulb is installed, Twist also promises to deliver the “right light for every time of the day.” Light is a funny thing. We may not know it, or even choose to acknowledge it, but light has the ability to significantly alter our emotions and mind set. Twist attempts to mimic the sun’s lighting patterns by dishing up blueish-white light in the morning, a warm beautiful glow in the evening and everything in-between in an attempt to provide the best possible atmosphere to promote the best possible mood within us. The wireless AirPlay speaker really ‘speaks’ for itself. Any piece of software, device or app that is capable of utilizing Apple’s AirPlay protocol has the ability to send music, podcasts or any other type of supported audio directly to the speaker within the LED bulb. Considering the bulb fits easily into any existing holder, it’s an almost perfect solution for adding a relatively low-cost surround sound setup to any home environment. Twist is accepting pre-orders right now, with shipping expected in early 2016, starting at $249 for a single room set. If you’re interested in Twist, simply point your browser to: hellotwist.com for more information. oohh me like! where can I get one? Such a strange mash-up! It’ll be cool to see if it takes off. date, even the most recent 6 and 6+.